Many people know that Nikola Tesla (1856–1943) was an engineer and inventor, instrumental in developing the alternating-current (AC) electrical system and wireless radio communications we still use today. What, perhaps, they don't know is that he was born during a lightning storm; that when he first arrived in the U.S. he owned 4 cents, his own poems, and a design for a flying machine; that he spoke 8 languages; that he held 300 patents for his inventions; and that he claimed to have invented a death ray that could destroy 10,000 planes at a distance of 250 miles. 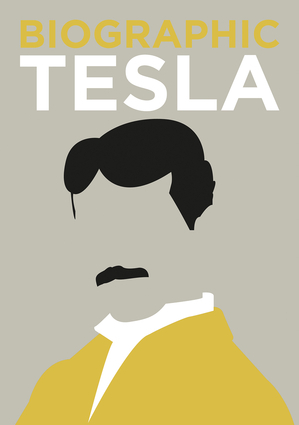 Biographic Tesla presents an electrifying exploration of his life, work and fame, with an array of irresistible facts and figures converted into infographics to reveal the scientist behind the science. Brian Clegg is an award-winning science writer whose books include The God Effect and Are Numbers Real? He has written for Nature, BBC History, The Times, the Wall Street Journal and The Observer, and is the editor of www.popularscience.co.uk.